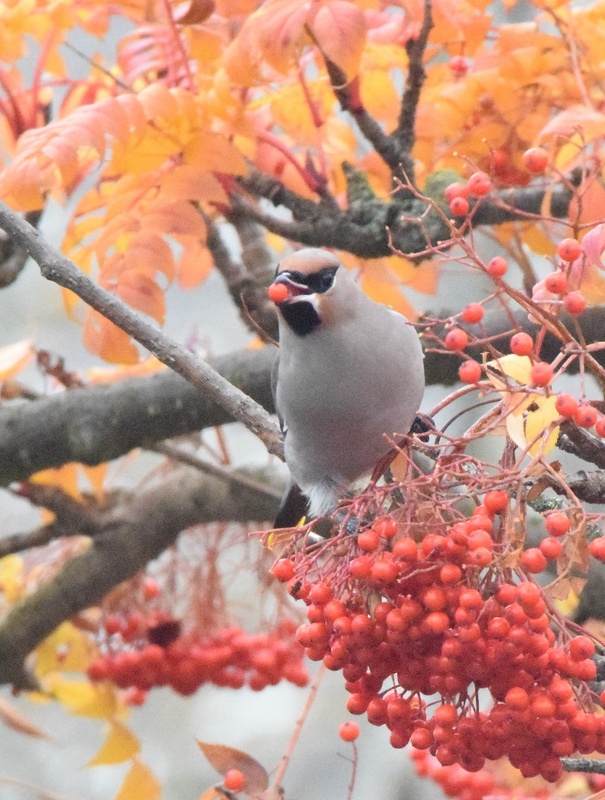 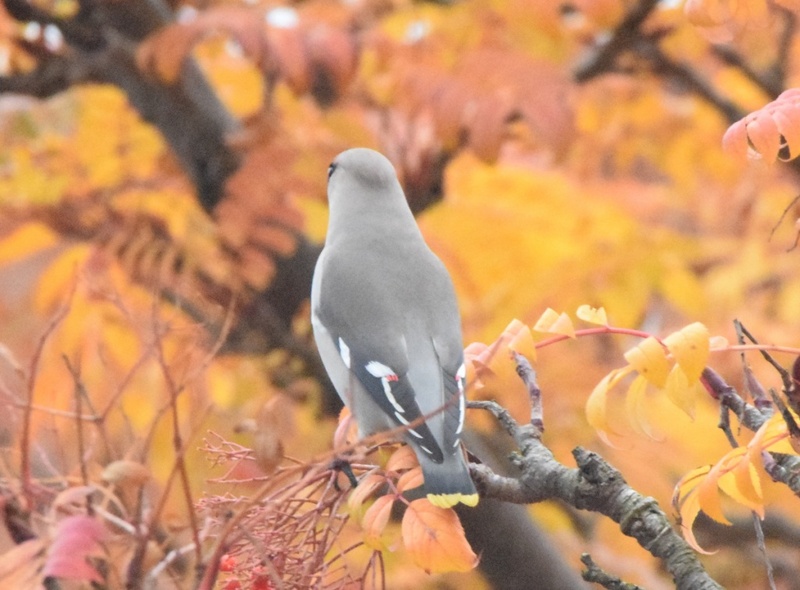 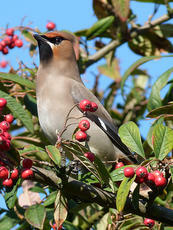 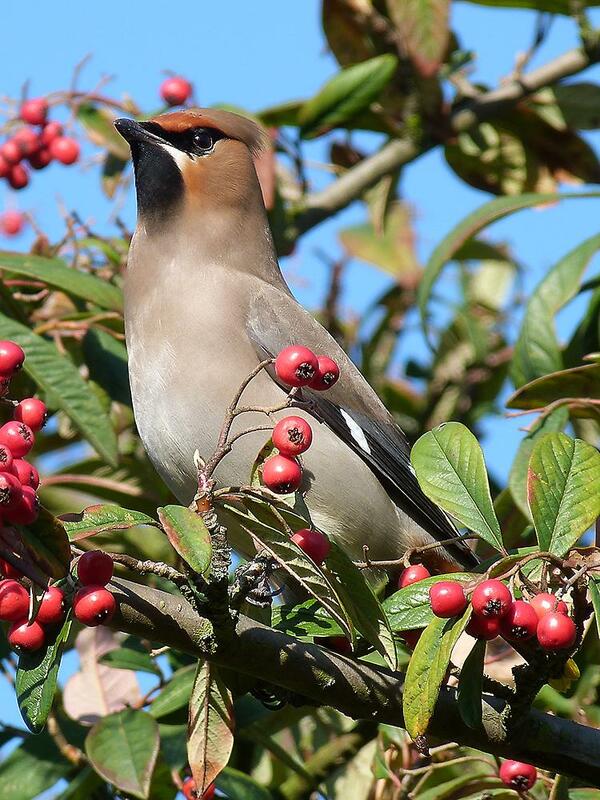 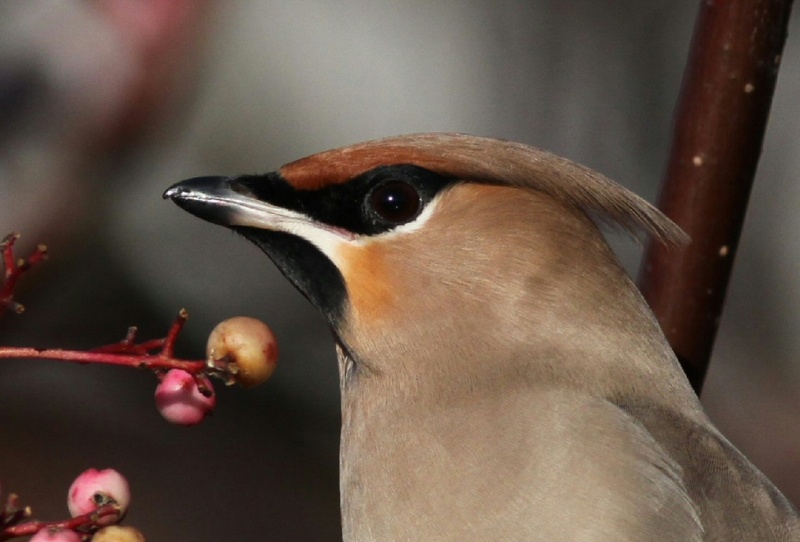 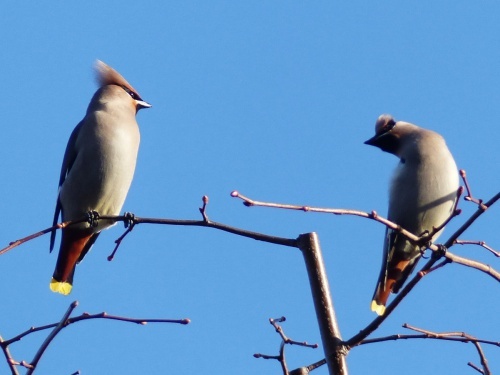 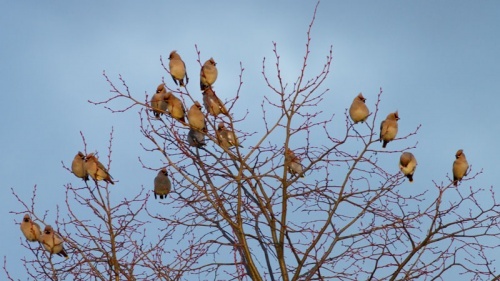 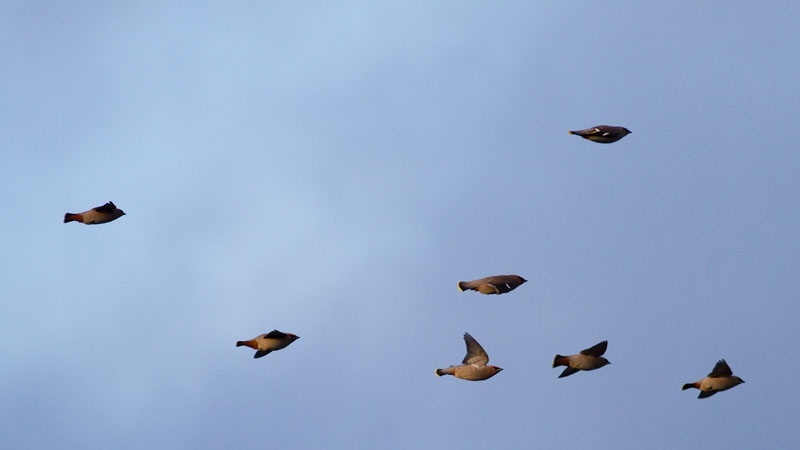 The Waxwing is a plump bird, slightly smaller than a Starling and with a prominent crest. 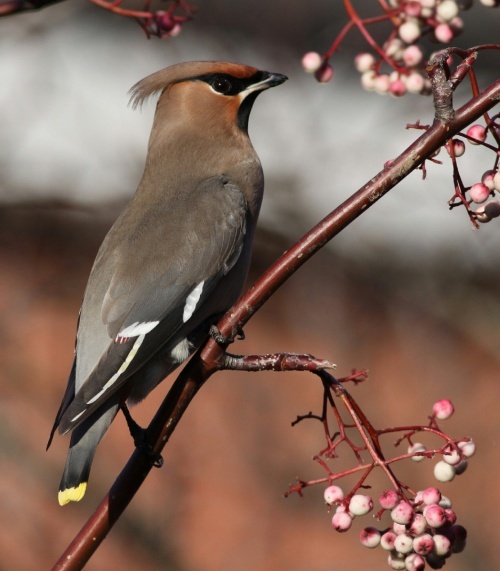 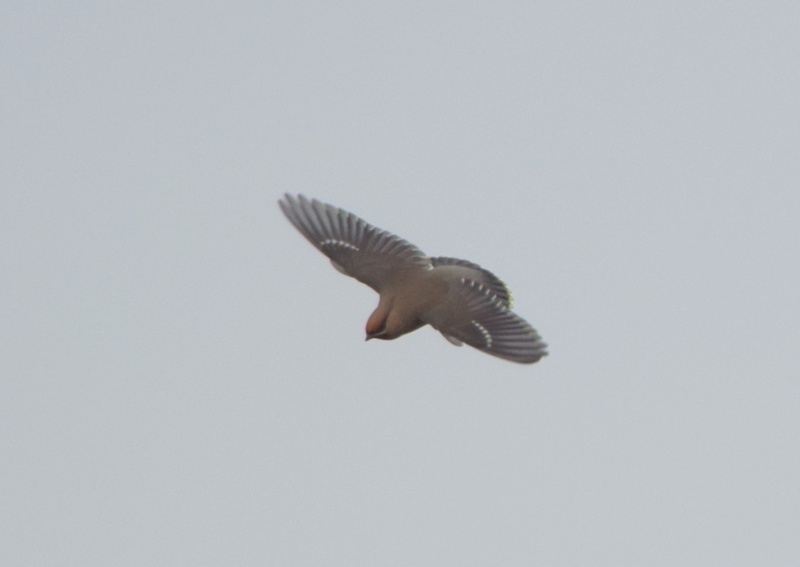 It is reddish-brown with a black throat, a small black mask round its eye, yellow and white in the wings and a yellow-tipped tail. 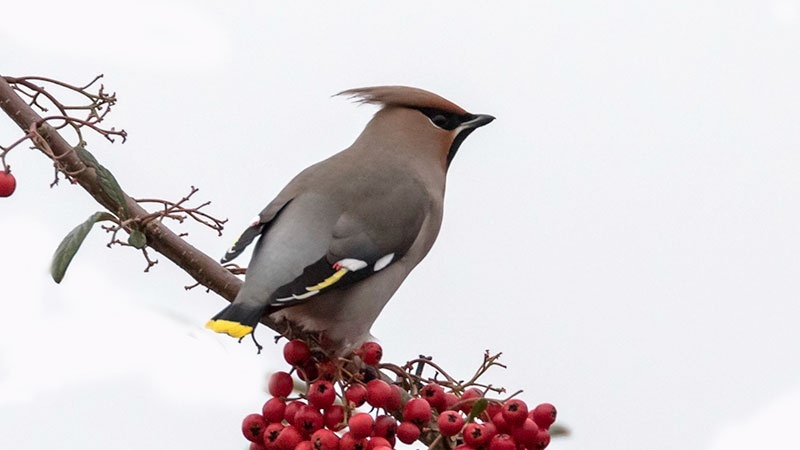 Their main food is fruit and berries. 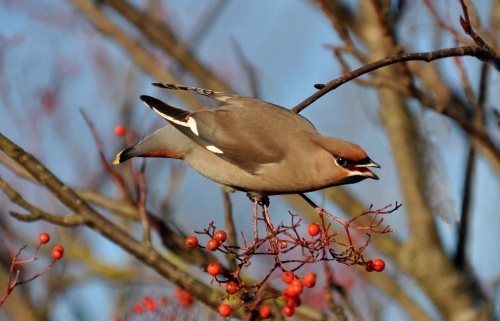 In the UK they are attracted to car parks with Rowens and other ornamental berry producing trees. It does not breed in the UK, but is a winter visitor with numbers varying greatly from year to year. On average less than 10 birds per year are seen in Leicestershire and Rutland but in some years they arrive in much larger numbers, called irruptions, when the population on its breeding grounds gets too big for the food available.